We are pleased to announce the recently reduced asking price for the Arthur Robb designed yawl ‘Casquet’. From the board of the famous Arthur C. Robb. CASQUET stands apart from other British designs of the time; with a generous beam and shallow draft with centre plate. Built for an owner who wanted a capable yacht. That was suited to comfortable cruising while being competitive occasional offshore racing. She has an attractive mix of visually appealing lines, spacious accommodation and rewarding performance under sail. CASQUET was built by Rowhead Ironworks in 1956. 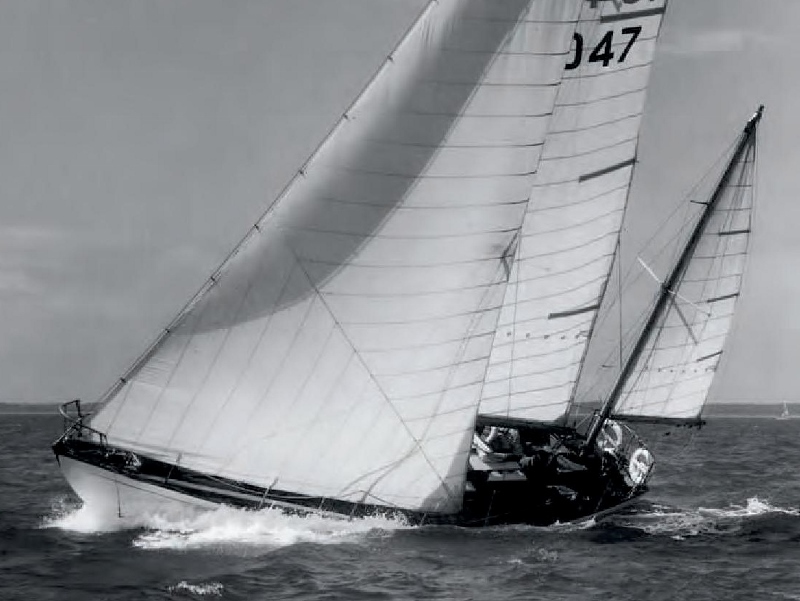 Her second owner was the colourful and well-known yachtsman Neville Duke; who found fame as a test pilot. After Mr. Duke she had a series of owners before being purchased in 1973 by the Adams family. She came to the coast of Scotland during the 1970’s and has been based in the area since. Find full details of the boat here.